← What’s New With Me These Days? Today is Monday. I am feeling sluggish- got a pain in my back and the weather is still ominously grey outside. It’s Seattle, after all. 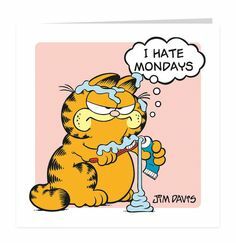 I swear I could be related to Garfield the cat sometimes. I took my electric toothbrush out of my mouth too soon this morning and THIS is how it felt. I keep reminding myself, I shouldn’t complain. I’m no longer an east coast gal (Buffalo, NY is where I lived til I went to college) and where I live now (Seattle, WA) is paradise compared to what’s happening over there, with those endless winter storms pummeling everyone with snow, snow snow. Global warming doesn’t seem to be affecting them over there! Over here, we are really feelin’ it. 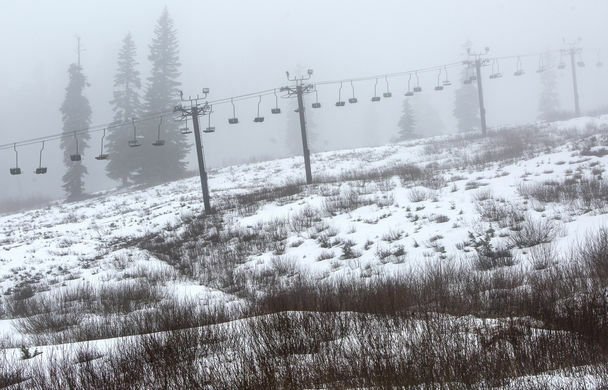 The Snoqualmie ski area is just less than an hour away from my house. I feel lucky that I’m surrounded by mountains and water and can get to them fairly quickly. Anyway, I gotta get off to work, but just writing this post makes me feel better. There’s a lot of good going on out there in spite of all the weather madness and the Brian Williams disaster. I’m determine to post something inspiring soon. Let me know if you have something you’d like me to share! This entry was posted in Personal stories and tagged brian williams, Garfield the cat, Snoqualmie ski area. Bookmark the permalink.